The spider plant (Chlorophytum comosum) is one of the most common houseplants. 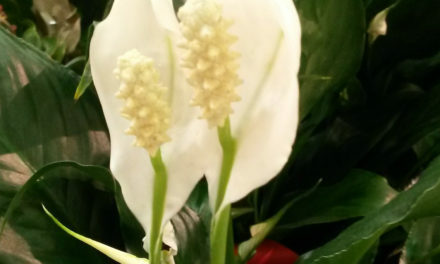 It is easily grown and is especially popular for the ease and speed with which it forms new plants. Spider plants grow quickly to 2 to 2½ feet wide and 2 to 3 feet long when grown in a hanging basket. Spider plants make excellent hanging baskets. The long, grassy leaves are available in green or striped yellow or white. Long wiry stems appear on healthy plants with many small white flowers and miniature plantlets. If these new plantlets touch soil, they will root. The plantlets can be either detached to produce new plants, or left on to create a very full basket. Spider plant plantlets (Cholorophytum comosum ‘Vittatum’) develop on the ends of the parent plants wiry stems. In the home, plant diseases are very rarely a problem. Too much or too little water plus insects and mites are the main problems. Whiteflies, spider mites, scales and aphids are the most common insect pest problems. Root rot usually results from a soil mix that does not drain quickly or overly frequent watering. Leaf tip burn is caused by too much fertilizer or water that is high in soluble salts. Low humidity and excessively dry soil may also cause brown leaf tips. Spider plants grow best with bright indirect light. They can tolerate some direct sunlight, but midday light may scorch leaves. Spider plants should dry out briefly between waterings. Check their soil daily. A general-purpose potting soil is suitable for spider plants. Feed plants during periods of active growth with a water-soluble or a time release houseplant fertilizer. Follow the label recommendations. Temperatures between 65 and 75 °F during the day and 50 to 55 °F at night are ideal. Move spider plants a few feet from windows to protect them from drafts during the winter. Spider plants form thick, fleshy tuberous roots. Divide and repot plants before the roots expand enough to crack the container. They can be repotted at any season. Wait four to six months before feeding newly potted plants. Spider plants produce most of their offshoots when the days shorten in the fall. You can start new plants at any season from the plantlets. Detach them once roots have formed and pot directly into moist growing mix. ‘Mandaianum’ is a dwarf spider plant. 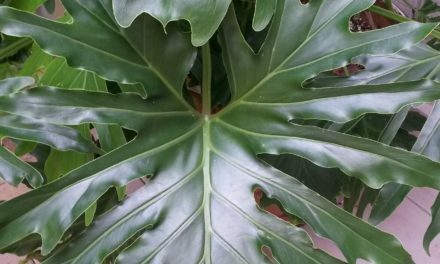 The leaves are only 4 to 6 inches long, dark green, with a bright yellow stripe. 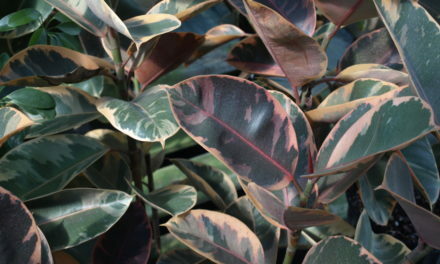 ‘Vittatum’ is the most common variegated cultivar. It has pale green leaves 4 to 8 inches long with white central stripes. 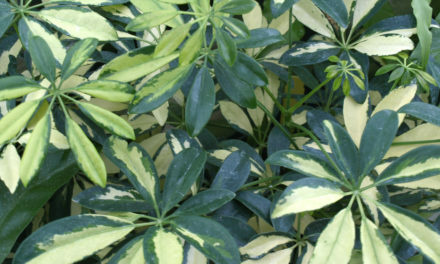 ‘Variegatum’ has white-edged leaves 10 to 16 inches long and up to an inch wide.